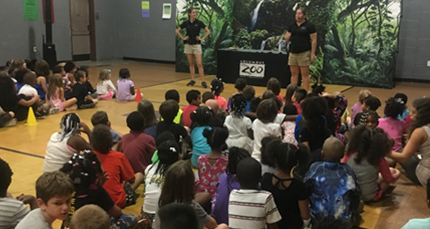 GEMS 2nd GradersGEMS 2nd Graders participated with a visit from the Columbus Zoo. GEMS 7th GradersGEMS 7th grade students visited the Dayton Aviation Heritage National Historical Park, which included the Wright Brothers Memorial and visiting their cycle shop. This visit helped us gather information for our upcoming podcasts. 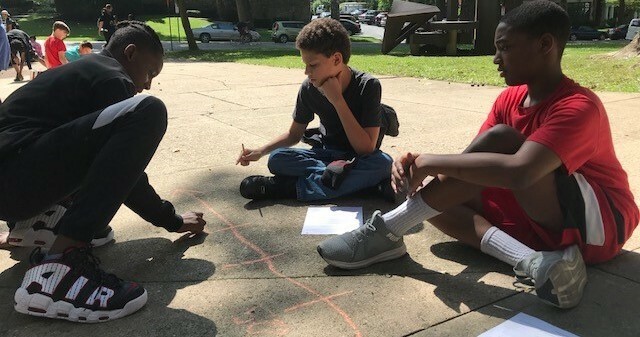 GEMS 7th Grade MathIn 7th grade math, students explored adding and subtracting integers by creating number lines with chalk while enjoying the beautiful day. 8th Graders Participated in Better World Day!For Better World Day, 8th graders attended the Ohio Veterans Hall of Fame Enshrinement Ceremony for the Class of 2017, to honor and interview these very special Veterans, including a Senator, two WWII Vets and a POW survivor??. GEMS 5th Grade Participated in Better World Day!5th grade students participated in Better World Day at the Audubon Center by clearing out bush honeysuckle and picking up trash along the Scioto River. Together, they filled over 20 trash bags and took down hundreds of honeysuckle plants! 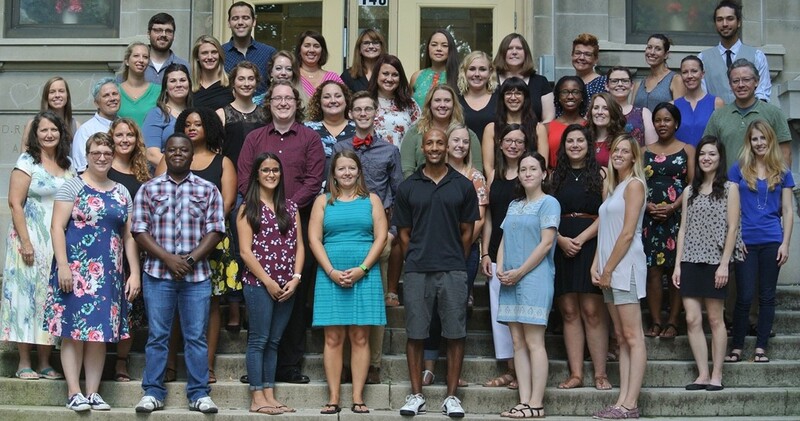 Greetings Gryphons, this is Heather Markward, Dean of K-4 with your weekly announcements. State testing continues this week during the morning for 4th, 5th, 7th, and 8th grade. Any 3rd grade student that hasn’t met the Third Grade Reading Guarantee will have another opportunity to meet the requirements by taking the 3rd grade ELA Star assessment on Thursday morning. Community meeting will be on Tuesday from 2:45-3:15 this week for 3rd and 4th grade. All are welcome to join us.Wednesday, Kindergarten will be going on fieldwork from 9:15-12:00 to the Chadwick arboretum. A big thank you to the FTO for providing an exciting experience from the Columbus Children’s Theater. They will perform for all of our students in grades K-4 at 1:30. All are welcome to join! 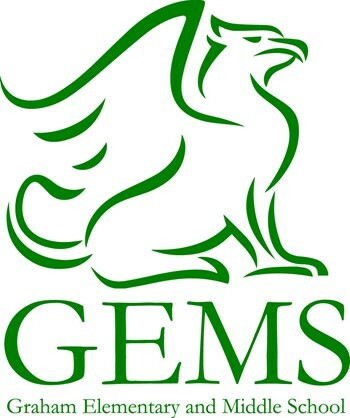 GEMS will be on spring break so there will be no school from Friday, April 19th through Sunday April 28th. We will see everyone on Monday, April 29th to finish the year strong. 8th Grade Project Accepted into EL Education Models of Excellence! Big news! GEM's eighth-grade project Ohio Veterans: Our True American Heroes has been accepted into the EL Education's Models of Excellence collection, an amazing and very selective resource of exemplary student work open to educators across the country. Take a look at the work created by students that will be used as a model to raise questions, provoke thinking, and inspire excellence: https://modelsofexcellence.eleducation.org/projects/ohio%E2%80%99s-veterans-our-true-american-heroes. Congratulations Mrs. Cohen and GEMS 8th grade students!